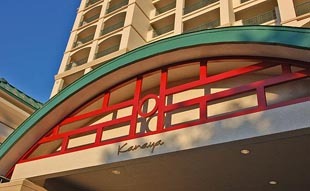 Kanaya is a condominium Sarasota, Florida, where the East meets West. This Sarasota condominium development consists of a high rise that deftly fuses in its development the ancient Oriental philosophy of feng shui harnessing positive energies and integrating this with modern Western materials and methods of building green, environment-friendly residences. Completed in 2006, this community is composed of thirty-five units nestled at 505 South Orange Avenue in a location so serene and quiet despite its proximity to Sarasota’s downtown district. Kanaya condos for sale are airy and spacious, with high ceilings and floor plans that measure to around 3,000 square feet. A condo for sale at Kanaya offered in the market with this floor area, three bedrooms and three-and-a-half baths can carry a tag price around $1 million. 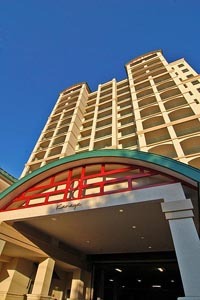 The asking prices can range from $1.25 million to $2 million for the choicest of the Kanaya condos for sale here. Kanaya, named after a town in Japan, at once exudes its Oriental charm of a balanced home environment in the Japanese garden and saltwater aquarium at its entrance. Healthy living features have been integrated into residences through modern materials and construction techniques. The condo units’ air conditioning system, for instance, employs advanced filtration systems. Positive ventilation and humidistats also add to the healthful atmosphere in the residences. This healthy environment is further enhanced by an infrared sauna and two separate gyms. One of these gyms is designed for yoga and Pilates and the other features traditional cardiovascular exercise equipment. The other amenities in the condo are as wonderful and include a social room complete with its own kitchen. Kanaya also has a swimming pool with a spacious deck and heated by solar power. In addition, the residents have access to a barbecue area with grill equipment. 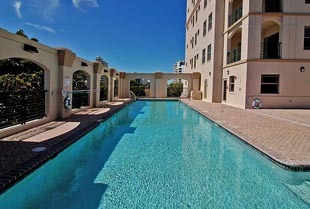 Prime value is likewise attached to the awe-inspiring views of the Sarasota skyline provided at this high-rise condo. From this vantage point, the residents can also have a bird’s eye view of the many city attractions around them. Prominent among these are the parks around the area like the Bayfont Park jutting out toward the bay with the Marina Trail looping around it, offering plenty of leisure opportunities. The centers of arts, culture, and entertainment are also as inviting. Some of the nearby choices are the Burns Court Cinema, the Florida Studio Theater, and the Van Wezel Performing Arts Hall. Areas for dining and shopping are also just a few blocks away from the condo. The choices become even more plentiful with a short trip to St. Armands Circle across the Ringling Bridge which is likewise gateway to the beaches at the Bird Key, Lido Key and Longboat Key which certainly contribute to the luster of the Sarasota condos for sale like Kanaya.